This manual was created to offer culturally specific teachings and information about Ontario First Nations child development/child rearing to service providers who work with young First Nations families. how parents can be positive role models. This is all done within a First Nations context. 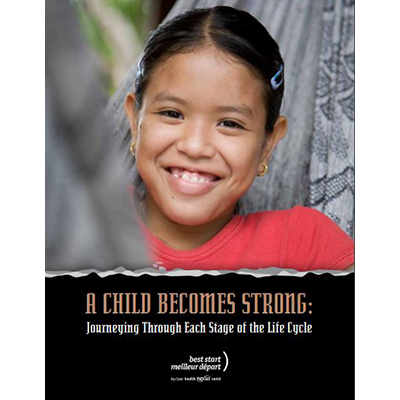 It speaks to the wholistic approach to supporting families and provides supportive strategies for each family member at various stages of the life cycle. the practice and acceptance of traditional ways of helping children to develop, such as naming ceremonies, drumming, and fasting.